Return to the farm in a brand new and exciting adventure where all the cropsies you knew are waiting for you to collect, with new tricks and challenges for you to enjoy. Once more you need to complete the orders for the farmer by collecting cropsies, this time there are some new twists and levels for you to play. And of course Rancid the Raccoon is here to try to spoil it all too. 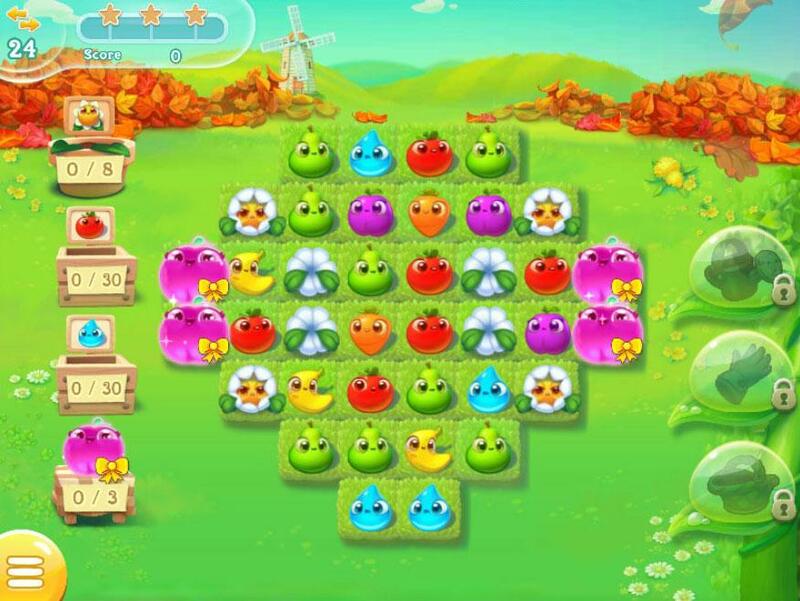 Welcome to a cute new version of the much loved classic, here you will be able to collect cropsies and defeat the nasty Rancid as well as find some new friends and enjoy a few different tricks and level styles. 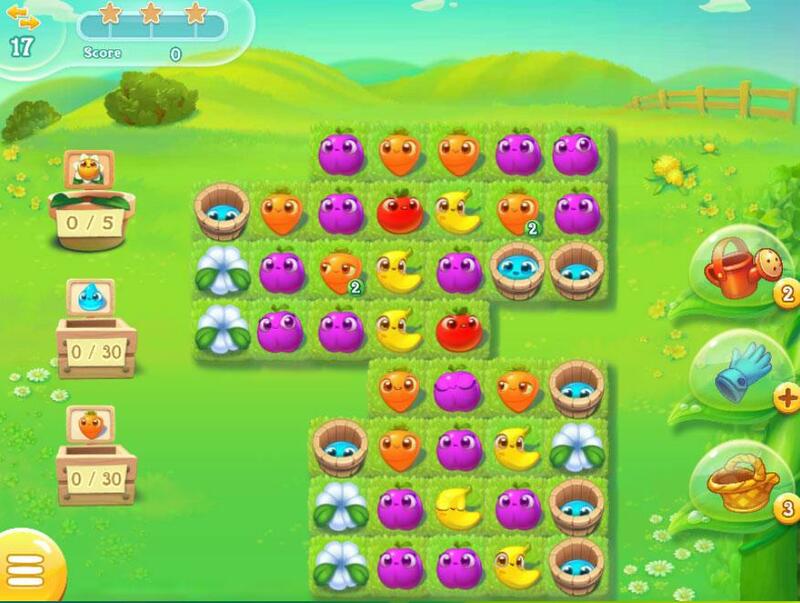 In Farm Heroes Super Saga you have everything you could want in a match 3 game. You begin with a brief introduction on how to play and the first few levels show you the different special combos you can make. 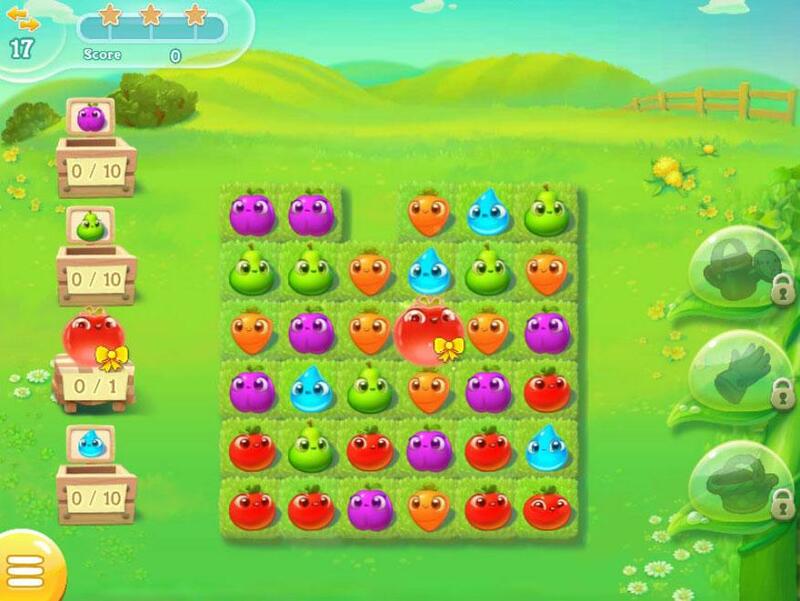 The aim of the game is to collect the different colored cropsies to fill up the farmer's orders. Each match you make will increase the number of cropsies you collect for the different ones next to it. This helps you to hit the bigger order numbers especially in the later game. With cascades you can end up collecting a lot all at once. The different special cropsies help to gather the ones you need. If you make a fiver it will collect all of the ones of that color. If you make T with 5 cropsies you boost all of the ones nearby to make them much bigger. If you match a set of colors you don’t need to collect it will boost those that you do need. Placing 4 of the same color into a square will make a super cropsie, these are much larger than normal and they have are worth a lot when you collect them. It can be up to 30 or so if you have made a super cropsie and made matches next to it. These are also often a level requirement so make as many as you can. As you would expect there are some of the fun things from the original here, Rancid the Raccoon makes an appearance and you can defeat him each day to earn coins. 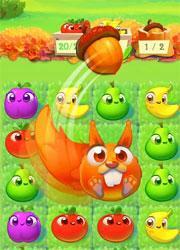 There are also levels full of nuts that you need to collect for Fidget the Squirrel. These levels add quite a lot of fun to the game as there is always a variety when you play them. 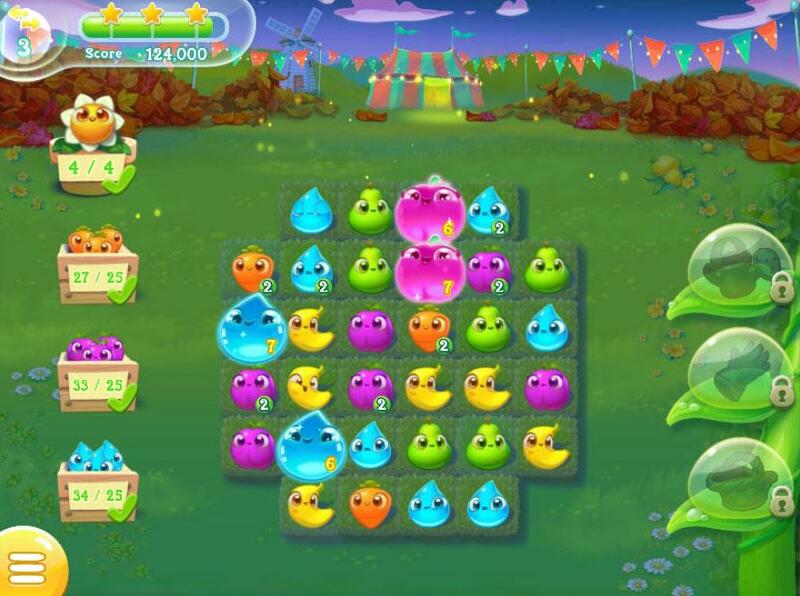 As well as the characters there are also a lot of new levels to play, with some unique twists like changing the direction the cropsies move in and rivers flowing through the middle with lily pads and colors on them. These twists are a huge amount of fun to play. There is also a new feature, called country show, where a seed is planted every 2 days, and each level you play will help that seed grow. For each star you collect you will earn plants, these are added to a rank in the show. The higher your rank the more coins and trophies you can earn. The coins you earn can be spent on boosters in the game, there is a shop that opens each time you start a level where you can buy boosters. These boosters are available on all levels, not just the one you play. There are also gold bars to spend on extra moves on a level and lives, these gold bars are available for real money through the in game store. 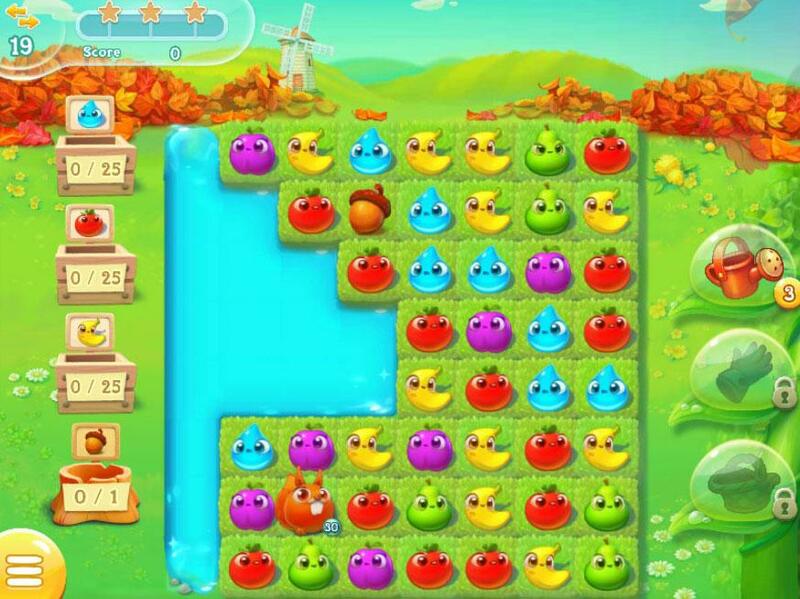 Overall there is a lot of new features in Farm Heroes Super Saga, blended with the classic style it can be a lot of fun to play. Though it feels a little like an upgrade rather than a new game, if you are a fan of the original then you will enjoy this one too. There is a fast growing community for this game both on Facebook and the King website, as the original game was so popular there is quite the buzz for this new version. As usual you can swap lives and boosters with your friends so there are a lot of rewards for being social here. There is also an active community page full of fun things, prizes and information. For a new game it is a little disappointing to say that the graphics are not as impressive as we would have liked. While the cropsies remain cute, and the action looks smooth there is just a tiny bit lacking here. You can still easily see what you are doing and the matches. As well as the characters being animated well, you are left with the feeling that it should be a little better. Despite that the game is still quite fun to play and there are a lot of new little animations for the new tricks that are fun to watch. 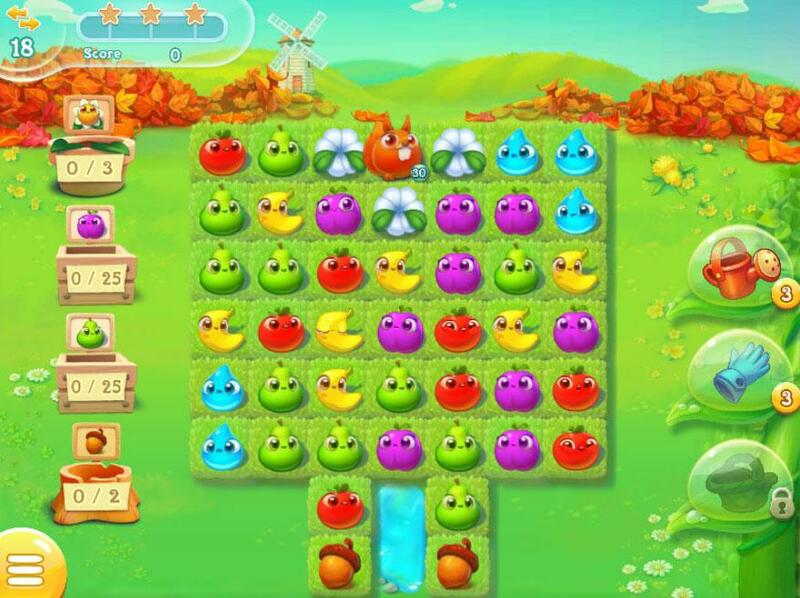 With its new gameplay, fun characters and cute cropsies there is a lot going for Farm Heroes Super Saga. It has all of the boosters and fun you would expect, with the regular match 3 style that make it an enduring presence. The little features that they added to the game give it a lot of replay value, and of course you have the huge community of players to enjoy too. Throw this all together and you have a good game with lots to do and a huge amount of fun to be found. 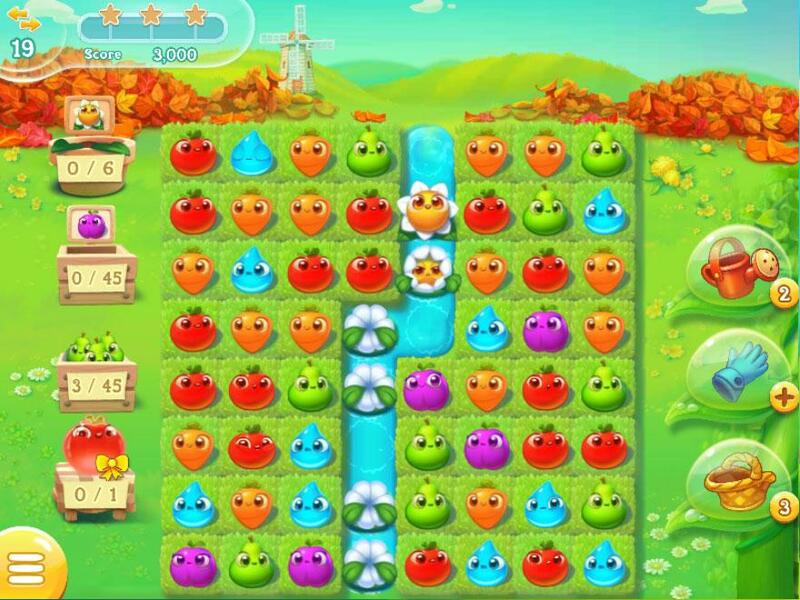 by Adeaphon Oct 15, 2016 Take a trip to the farm and begin to collect cropsies in this amazing new game from King, here you can enjoy all the fun of the original and take a peek at the newest and most fun twists and levels. 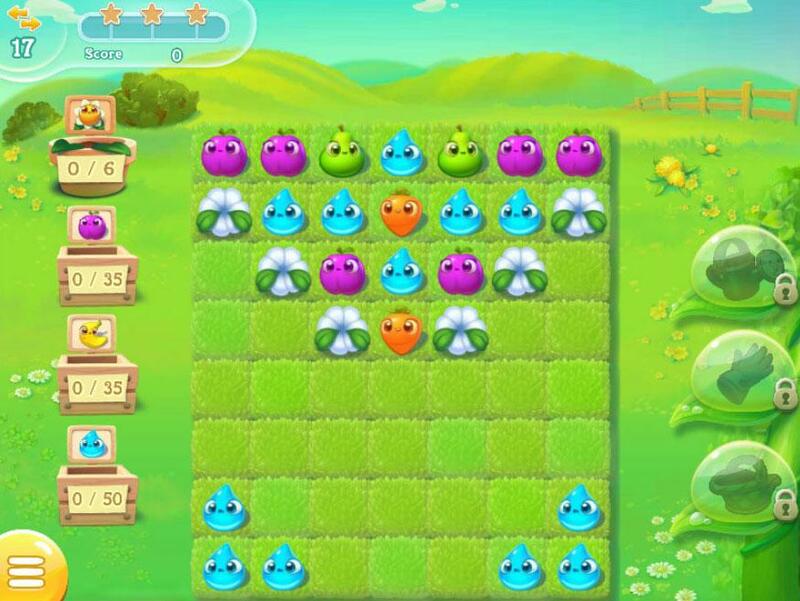 Collect these cute little critters, scare off the nasty Rancid and save the day once more! Read More Be the First to Post a Review!